Hormones are some of the most powerful molecules in our bodies. We cannot survive without them, and millions of years of evolution designed them to be in our bodies. And yet, many adults are living in a state of depleted hormones, due to stress, toxicity, and aging. From an evolutionary perspective, some estimate that we were only expected to have a lifespan of 30 – 40 years, so that is the age at which hormones naturally start to decline. However, today we are living much longer and many people have chronic diseases that are believed to be partly related to the loss of our natural hormones. Bioidentical Hormone Replacement – The Cornerstone of Anti-Aging Medicine! Our goal is to replace the hormones in your body to levels that would be expected in a healthy young adult. Today, we are lucky to be able to replace all of mother nature’s hormones to youthful levels. 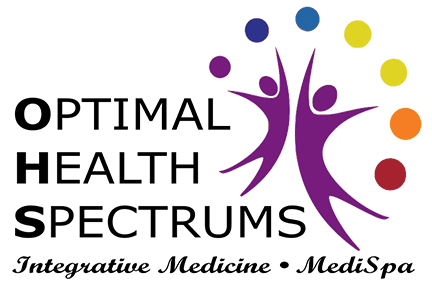 At Optimal Health Spectrums, we have years of experience in doing natural hormone replacement, and have treated thousands of patients – so we have the experience that is needed. Dr. Mielke takes bioidentical hormones herself, and she is an expert in bioidentical hormone testing and prescribing. We have seen some doctors prescribe, and some who don’t properly monitor hormone levels after they are prescribed. It requires a great deal of experience to do this well. There are several ways to take bioidentical hormones. We do not recommend hormone pellets, because they are a foreign substance implanted in the body which requires a surgical procedure and carries a risk for infection. However, the biggest problem with pellets is that the dose is not adjustable once it is inserted. Dr. Mielke has seen patients who had terrible side-effects from pellets that were inserted by other doctors. Those patients just had to suffer for several months until it finally wore off. Hormone doses are very individual, and always require dosage adjustments that need to be individualized to each person, sometimes even day-to-day. Pellets are not easy to individualize, and some doctors just insert the same pellets into everyone, which is a big mistake in our opinion. 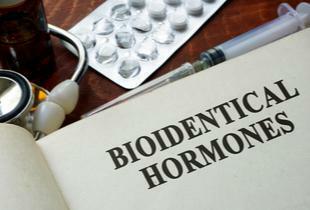 Some bioidentical hormones can be taken as a pill, but we think that estrogen should not be one of them. Oral estrogen can cause increased inflammation and increases the risk for weight gain and blood clots which are linked to heart attack and stroke, while estrogen creams cause none of those risks, so they are much safer. Women’s ovaries secrete hormones directly into the bloodstream, and estrogen creams go directly into the bloodstream, as nature intended. For men, testosterone creams and shots are a viable option, but some doctors give high doses of testosterone shots every two-four weeks, which can cause big highs and lows in the blood level, leading to mood swings and irritability in men. We prefer to do smaller doses of testosterone shots more often which gives a much steadier, more even response. For men who don’t want to do shots, testosterone can also be done as a daily cream. Hormone dosing is very specific, and it is important to have just the right amount – not too much, and not too little. Our goal is to be optimally healthy, so we ensure that you are getting the right amount by doing urine testing – which we think is the most accurate way to monitor hormone dosing. Some doctors do blood or saliva testing of hormones, which have different accuracy issues in monitoring hormone levels, and do not give critical information about how your liver is metabolizing those hormones. This can lead to incorrect dosing and can even miss an increased risk for cancer over time. Andropause, or “male menopause,” is the gradual decline in male hormones with age. The accompanying drops in testosterone levels can begin in men after the age of about 35. Testosterone is important for a man’s overall health, and dropping levels can be recovered using Hormone Therapies designed for men. Most women feel their best when they are in their 20’s and 30’s before major hormone levels decline. But today, you do not have to just accept hormone loss as part of getting older. Replacing bioidentical hormones to youthful levels is the cornerstone of anti-aging medicine! There are many important hormones in our bodies, and if we are deficient in even one of them, we will not be optimally healthy. If we are deficient in 3-4 hormones, and replace only one to optimal levels, we will still not be optimally healthy. Did you know that the thyroid gland makes two thyroid hormones, and that the most commonly prescribed thyroid medications (Synthroid, L-Thyroxine, and Levothroid) only contain one of them? And it isn’t even the most important one? Wouldn’t you rather have both, the way nature intended? Many doctors believe that adrenal fatigue is at epidemic proportions today, due to our stressful lives. Even some teens have it, from the extreme stress being placed on them to succeed. Shorter-than-normal telomeres increase your likelihood of developing the degenerative diseases of aging (such as cancer and heart disease). Telomere testing is available to determine the length of your telomeres. Dr. Mielke knows treatments that have been found to improve telomere length.